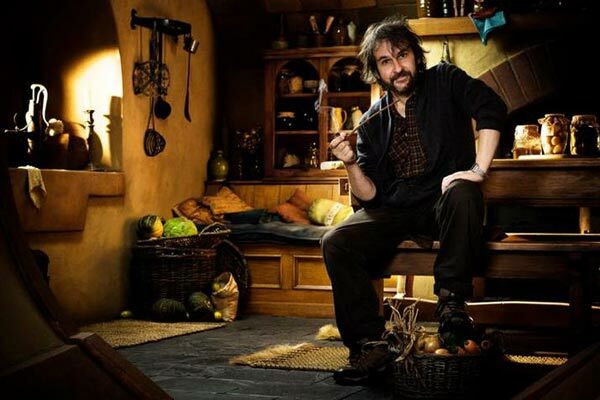 Director Peter Jackson sits down to tell us one last story. Photo from BlogSpot. On Wednesday, December 17th, I’m going to have to say farewell to my favorite film franchise of all time: Peter Jackson’s Middle Earth series. 13 years after The Lord of the Rings: The Fellowship of the Ring first graced our screens, The Hobbit: The Battle of the Five Armies is here to conclude the tale of rings, dragons, wizards and of course, hobbits. Based on J.R.R. Tokien’s epic fantasy novels, these films are the defining fantasy saga of all time. With 17 Academy Awards and over two billion in box-office revenue, they’ve been some of the biggest movies we’ve seen in the last fifteen years and even the last fifty, for that matter. At their core, they’re some of the best battles between good and evil we’ve ever seen. These are more than just stories, though. They have been my life. It’s tough to recall a time when I wasn’t in love with them. I still have the hardcover edition my grandmother bought me when I was just a wee lad and tore the map out of. When I was in the third grade, I recall watching Return of the King for the first time and crying simply because it was over. And ten years later, when I sat in the theater for The Hobbit: An Unexpected Journey wearing the Gandalf hat my mom sewed me; I giggled and cried tears of joy just like I did when I was a kid. “What’s Dungeons and Dragons? You’re basically in Lord of the Rings only you get to do whatever you want,” is something I’ve found myself saying on multiple occasions. These films have been a cultural phenomenon. They actually made fantasy COOL. It’s difficult to find a household that doesn’t own a copy of these on DVD, and even tougher to find a single person who says they don’t like them. It’s one of the biggest pieces of pop culture that almost every human being seems to enjoy. It’s one of the few things that seems to bring people together whenever they’re on TV, too. 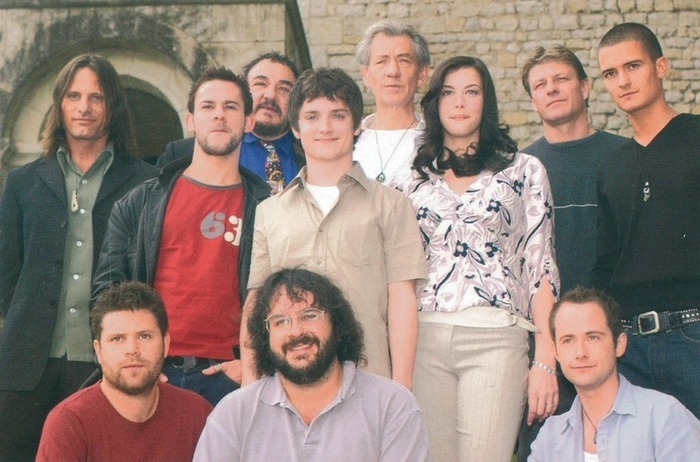 Jackson and the rest of the cast from “The Fellowship of the Ring.” Photo from Thinng. Everything I’ve learned about filmmaking I’ve learned from these movies. I watched the special features almost as much as the actual movies when I was a kid. Sitting in a theater watching anything else, I would think to myself, “Well, Peter Jackson did it this way, so that’s probably how they did that.”Above all else, though, I think these films represent something much more to me than quality entertainment. They’re an era of my life that I’ll never get back. Like all the times my sisters begged me to watch something else, or all the times I begged them to let me beat them in any of our LOTR board games. When I hear the music, I remember all the times my friends and I battled orcs in the woods with wooden swords. Most importantly, I think of all the time I spent watching these with the people I love. Whether it was marathoning the original trilogy with my best friends, or sitting around on a Sunday watching them all on TNT with my parents. If I’m anything, I’m certainly not special. I’m one of millions of faithful Tolkien fans out there. I certainly won’t be the only one that sheds a tear when the credits begin to roll next week. But, as with anything, the series lives on in the hearts of fans. The series always has, and always will have a huge presence in book stories, comic conventions and libraries across the world. There’s not too many things you can say that about, and you’ll never find a prouder fandom in all the land. I know that I’ll always be able to visit theonering.net and find some friends. J.R.R. 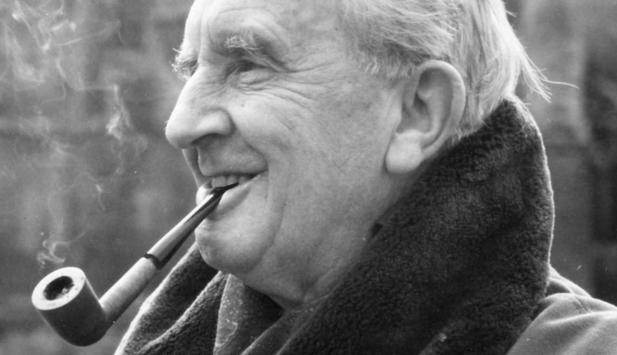 Tolkien, smoking a pipe just like the hobbits he so often wrote about. Photo from Guardian. Satisfaction is sad, or can be. There’s been years of build up, and we never let go of that original trilogy just yet because we knew The Hobbit would eventually come. Say what you will about the latest films in the series, but I’ve always said that any time spent in Tolkien’s Middle Earth with Mr. Jackson is time well spent. The future looks bleak, as the Tolkien Estate is keeping the rights to the other stories from Jackson, who has stated himself that this would be the closing chapter in the saga. So, how do we move on after such a hard goodbye? A wise man once told us that all we have to decide is what to do with the time that is given to us. So let us honor him, go out there and share these beautiful stories with beautiful people, and don’t forget to have an adventure or two of your own. So thank you, Mr. Jackson. Thank you for bringing the stories of Mr. Tolkien to life. Thank you for making some of the best films of all time. But most importantly, thank you for all the memories. And in case I failed to remind you how incredible the series is, check out the video below. How are you dealing with this LOTR loss? Tweet us @speakeasymag and let us know!